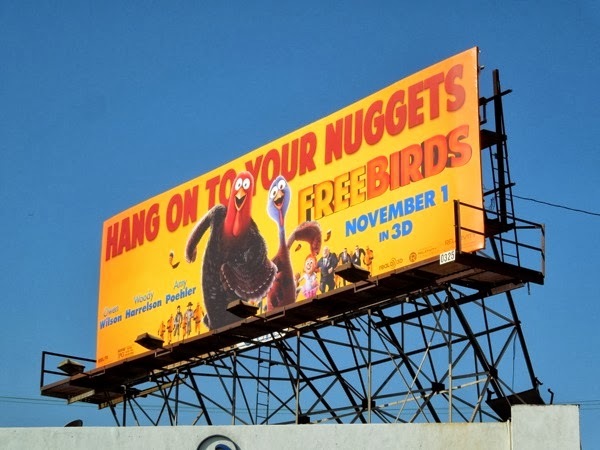 Hang on to your nuggets, here comes yet another animated movie with cute creatures, this time of the fowl variety in the form of Free Birds, just in time for Thanksgiving. 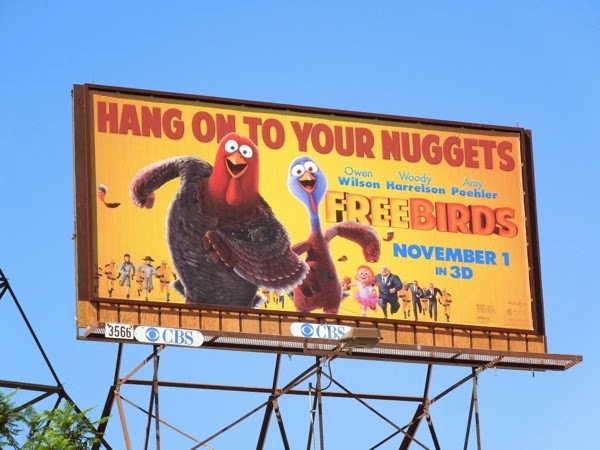 Woody Harrelson and Owen Wilson are 'Jake' and 'Reggie', two turkeys on a mission to save all their feathered kind by traveling back in time to get turkey taken off the seasonal holiday menu for good. 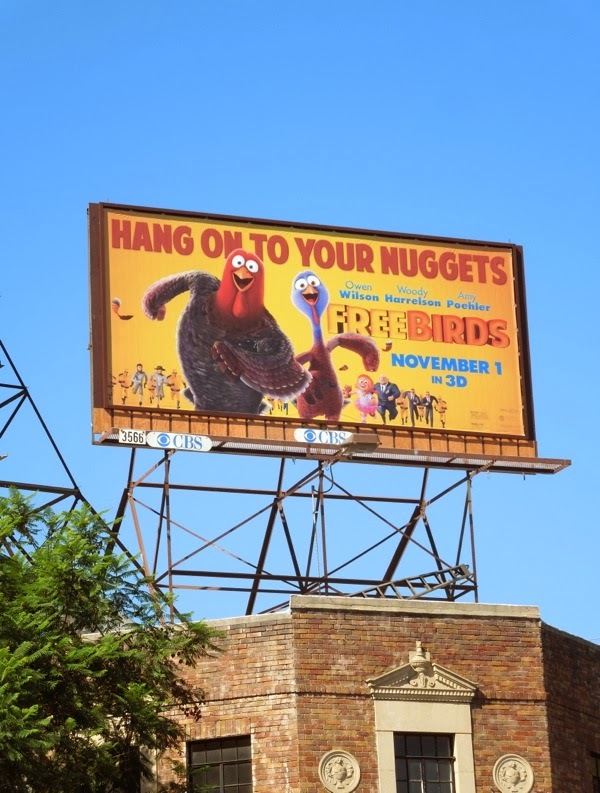 Forgive the pun, but the colour design of this Free Birds creative looks a little cheep, er, cheap. 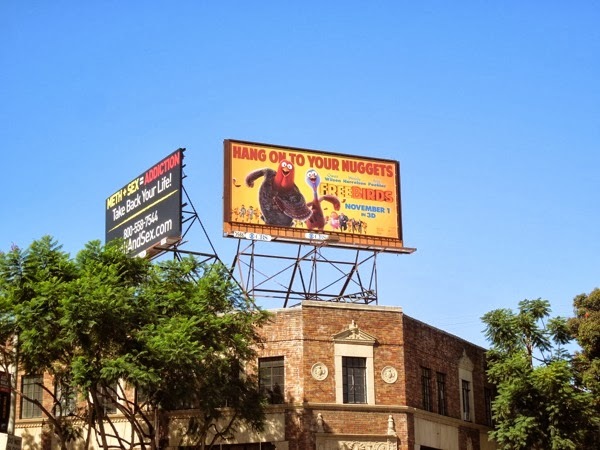 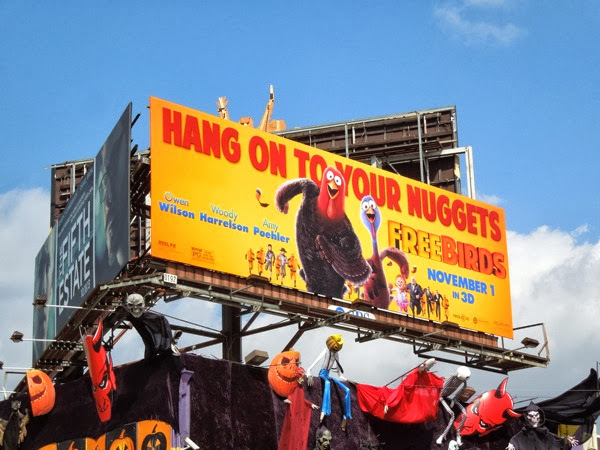 The bold 'Hang on to your nuggets' headline and the bright red, yellow and orange hues make this movie billboard look and feel a bit like a fast food or a 'happy meal' toy ad, but maybe that's the intention as it's supposed to appeal to kids. 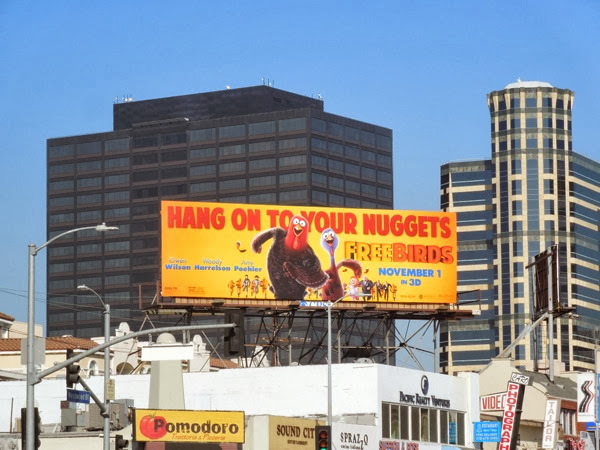 The standard landscape billboard for animated comedy was first spied along Westwood Boulevard on October 4, plus along San Vicente Boulevard on October 10, whilst the smaller ad creative was snapped along Santa Monica Boulevard on October 15, 2013. 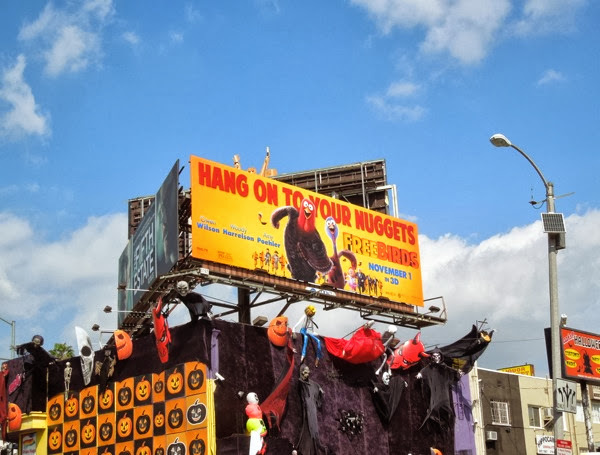 If you a fan of talking birds and animals, be sure to also take a look at these other animation ad campaigns here at Daily Billboard.